Diplomatic and bilateral relations between Pakistan and the Russian Federation were first developed on May 1st, 1948. History has seen that the relationship between Pakistan and the Soviet Union and then with Russia is marked by many ups and downs. In the past, there were numerous disturbing issues that even divided both countries for some time, preventing them from managing to have amiable relations based on mutual interests and benefits. But, a true diplomatic relationship is always preferred because of geographical proximity, historical linkages and common developmental interests in Asia. The Pakistani-Russian recent initiative of joint military exercises is a new brick in the wall of strengthen relations a bit more. From the early years (1948 to late 1950's) in Pakistan, relations were affable and of a responsive nature. Due to some conflicting issues, the ties between both countries took a u-turn and deteriorated. However, in 1965, President Mohammad Ayub Khan made numerous efforts and relations warmed up again. Furthermore, in the mid-1970’s, Pakistan – Soviet ties improved a lot and hence Mr. Bhutto influenced the then Soviet regime to establish steel mills in Pakistan. For that reason, the Soviet government invested a billion dollars in the steel mills project. Cultural, economic and trade ties were developed immensely between the two. Pakistan was the first country to recognize Russia as a successor to the Soviet Union in the wake of the disintegration of USSR into many parts. Economic as well as political ties were somewhat cold during the 1990's because of the internal issues of both the countries. As Russia was busy in reshaping and managing its economic and political issues after disintegration, and Pakistan was also suffering from many problems including economic, political and social. In 1999, the then Prime Minister Nawaz Sharif official visit to Moscow helped improve diplomatic relations. The relations were further improved to high levels and gained popularity with President Pervez Musharraf's visit to Moscow. Since then the two countries are enjoying far smoother relations than ever before. Pakistan’s reliance on the U.S. and Russia’s friendly ties with India is viewed as a one of the main hindrance in establishing defense ties between the two countries. Both the countries somehow ignored each other for a time due to misperceptions. But wise leadership of both sides tried hard to overcome the challenges and put forward the diplomatic structures to maintain interaction and cooperation at all levels. In addition, the recent high level visits by diplomatic officials and military personnel to Pakistan and Russia not only bolster diplomatic relations but also the strategic ties between the two countries. The first ever joint military exercises between both the countries were launched on September 24th, 2016 in the Northern part of Pakistan and lasted approximately two weeks. Approximately 200 military personnel of both sides will be participating and ultimately from these exercises. 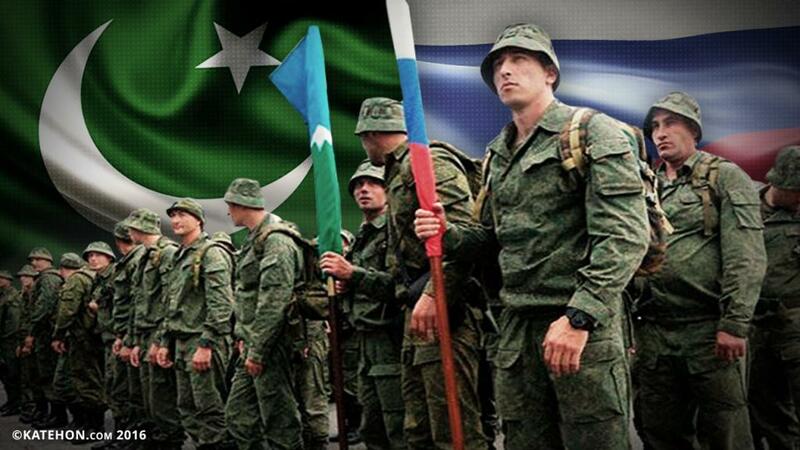 Furthermore, these exercises will have a deeper impact on Pakistan – Russia relations. A joint military exercise is an omen of strong future military links between the two countries. In addition, Russia has also shown interests in the socio-economic development of Pakistan. Pakistan’s cooperation with Russia brings huge benefits for it, including infrastructure development, investments, and growth in the trade sectors. Furthermore, Russia’s support for the reconstruction, modernization and expansion of Pakistan’s steel mills would also have positive implications for Pakistan and Russia. In the contemporary international arena, regional alliances are important; and for a great power like Russia to have regional popularity and cordial relations with all regional countries is in its vital interests. Russia enjoys good relations with all the South Asian countries like China, India ,and Pakistan. Pakistan and Russia are eager to boost their bilateral collaboration and hence have shown convergence on a number of issues, especially pertaining to security and economic issues at the regional and international level. Pakistan and Russia’s role in establishing peace in Afghanistan, economic cooperation, training programs (especially for military and security personnel), and infrastructure, etc. are vital for both countries. Pakistan’s geographical position as an energy gateway has also prompted Russia to have cordial relations with Pakistan. In order to maintain strategic balance in the region in relation to growing U.S.-India military relations, Islamabad needs to have healthy relations with Moscow. Maintaining overall strategic balance in the region. In order to further strengthen ties, Pakistan and Russia still needs to fill in the gaps and draw up designs to institutionalize their ties more. For instance, the steps taken in 2002 in Musharraf’s era, i.e., joint working group on counter-terrorism, strategic stability, and an inter-governmental joint commission, should be revived and enhanced. Moreover, interpersonal contacts, defense ties, cultural and scientific links, and academician/student exchange programs should be promoted between the two countries. Pakistani-Russian relations could also further develop with cooperation in the energy sector, oil and gas, telecommunication, space technology, and steel production.